Since you very sweetly played along with my sand request, I will play along with your questions request. There is an earth ending asteroid hurtling towards earth, you have 14 days to live. What do you do? Call up Bruce Willis and get him to assemble a team of deep sea drillers to fly up to the asteroid and detonate a nuke, saving mankind. I’ve seen a documentary once and it totally worked! Yes, but you die in the end. To save Ashton Kutcher (?) Or some other punk kid. That can’t be the way to go, it just can’t. Me?! No no…Bruce Willis dies at the end. There’s no way in hell I’m going there – but it’s nice of you to think I’m that altruistic. Also, it was Ben Affleck he saves…not that it makes things much better! 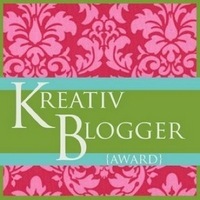 When it comes to blogger awards, taking the “lazy and cheap way out” is the only way to go. Well, I’d have to say “salad”…if I were lying, that is. The true answer will probably have to be ice cream, especially if I can pick a different flavour daily. Otherwise – mint chocolate chip ice cream. Have a crazy sweet tooth and ice cream is something I can eat a LOT of if I don’t control it. And in the magic world of your question – I don’t have to. Hehheee well, sounds like you’re having trouble picking one of the awesome foods there. Popcorn and pizza are great too. And bacon… and hot wings… and spicy food. But, if we stick to the “pick only one” scenario – what’s yours? Let’s see if this time the comment shows up. Congratulations on your flowers and your man cards! The masculine and the feminine in perfect balance! I cannot think of anything clever to ask you. But will that stop me? Oh, hell I just blew it! Thanks, I’m enjoying the balancing act! And the answer to your question was “No”. I realized I only got to ask one question, so I answered for you. You learn quickly, young padawan. Which would win a battle in a black hole, Darth Vader or the Eye of Sauron? Not at all, thanks for the award, sir! Come on, that was a trick question! Black holes, Darth Vader, Eye of Sauron?! We all know that two of those don’t actually exist…but the Eye of Sauron sees all!